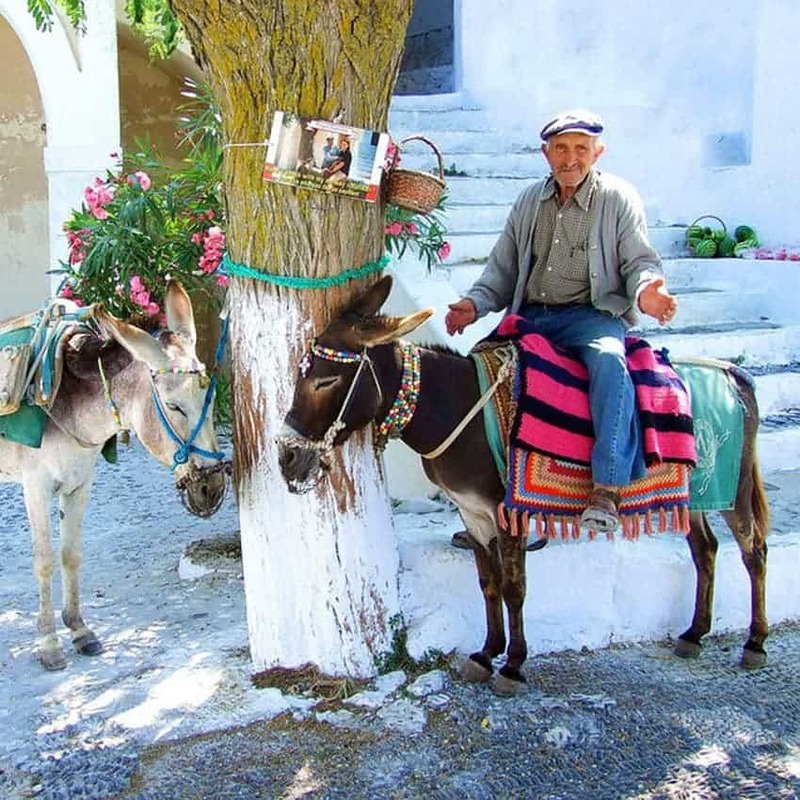 Pyrgos village is located in the southern part of the island, 7,5 km from Fira. 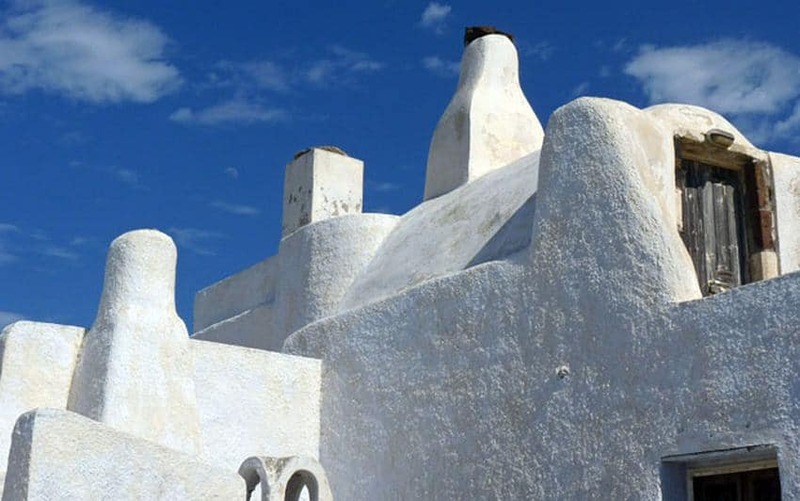 A traditional village built on the slopes of Profiti Elias monastery, (the highest point in Santorini), Pyrgos is a typical Fortress Settlement of the Cyclades. On the hilltop you can find ruins of Kasteli Castle, one of the five ‘kastelia’ on the island. 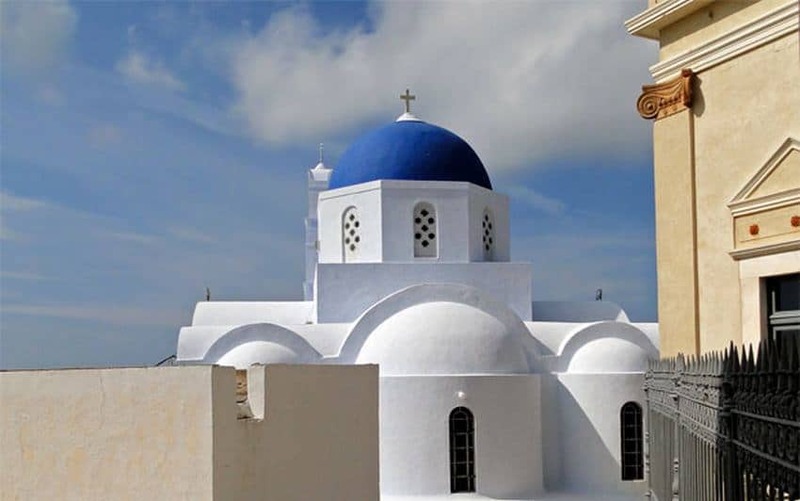 It became the capital of Santorini after the abandonment of Skaros Castle in the mid 18th century, and before Fira, which is the capital of Santorini today. The stone houses forming the village are built in a amphitheatrical shape around the ruins of the Venetian castle in among narrow pathways, which exude a fairy tale atmosphere. Pyrgos village is ideal for strolling and eating at a picturesque tavern, but is also an amazing village for a family vacation as it is located far away from the noise and cosmopolitan style of other villages in Santorini. 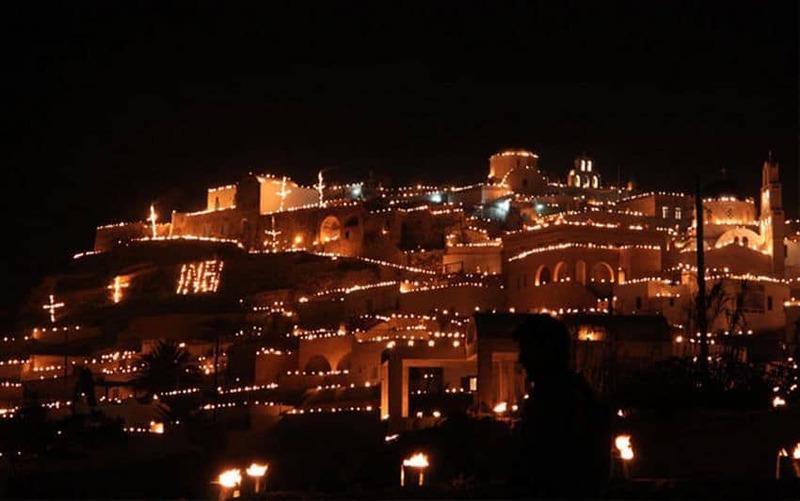 During Greek Easter, Pyrgos village is the place to be. On Holy Good Friday ‘Megali Paraskevi’, and ‘Epitafios’ Lamentations, the whole hillside is lit up with burning fire brands. The sight is spectacular. On Holy Easter Sunday ‘Kyriaki tou Pascha’, there is a celebration in Pyrgos Square. An effigy is burnt and there are fireworks, lamb on the spit and wine. Description: Pyrgos can found at the highest point of Santorini Island. 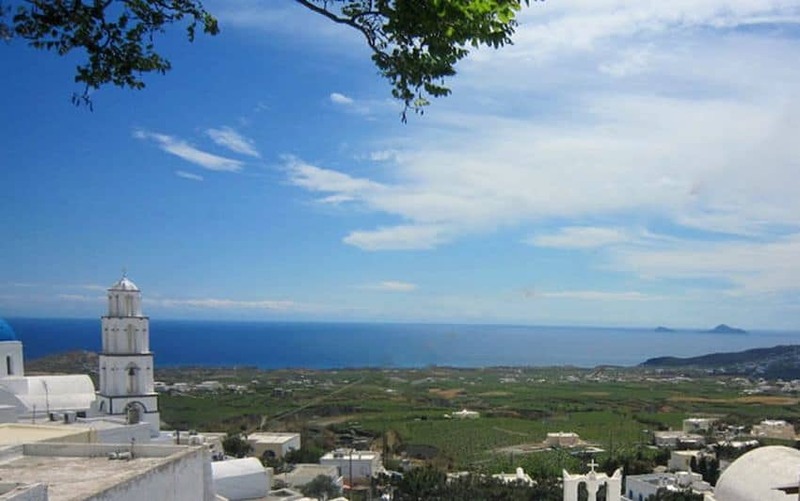 Panoramic views of the whole island all the way to the village of Oia. Great Sunset Spot.